The Paz Foundation is a non-profit Organization established in 2013 to Protect, Educate and Empower women and children who are or have been victims of Domestic, sexual violence. Our Foundation is establishing offices all over the world including: Vietnam, Colombia, Bolivia, the Philippines, India, Iraq and South Korea. The Paz Foundation is a non-profit Organization established in 2013 to Protect, Educate and Empower women and children who are or have been victims of Domestic, sexual violence. Our Foundation is establishing offices all over the world including: Vietnam, Colombia, Bolivia, the Philippines, India, Iraq and South Korea. Storkkd Baby Bundles is a baby retail store which offers baby products online from popular brands.Free Delivery to home, vacation, and gift giving destinations. Storkkd Baby Bundles is a baby retail store which offers baby products online from popular brands.Free Delivery to home, vacation, and gift giving destinations. For more than 65 years, Holy Cross has been committed to providing the children in our care the very best to ensure their safety and well-being, and to create the opportunities imperative for building a pathway for their success. For more than 65 years, Holy Cross has been committed to providing the children in our care the very best to ensure their safety and well-being, and to create the opportunities imperative for building a pathway for their success. CityKinder is a community website for German speaking parents and family in the NYC area offering classes, groups, cultural events and a large resources listing for expats and New York residents with a tie to the German language and/or community. 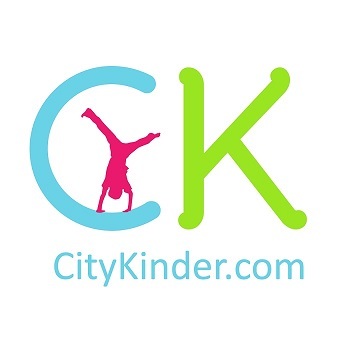 CityKinder is a community website for German speaking parents and family in the NYC area offering classes, groups, cultural events and a large resources listing for expats and New York residents with a tie to the German language and/or community. BabysOwnRoom.com is an online retailer of designer baby bedding and nursery bedding decor. We also offer Child Craft cribs and crib conversion kits, free shipping and fast service. Come check out our great selection of baby crib bedding and room accessories. BabysOwnRoom.com is an online retailer of designer baby bedding and nursery bedding decor. We also offer Child Craft cribs and crib conversion kits, free shipping and fast service. Come check out our great selection of baby crib bedding and room accessories. Tidy Books make a range of kid’s storage designs which are created to work for kids, are highly practical and very stylish. Our original designs are created to fulfill a consumer need for great ideas that work for kids! Tidy Books make a range of kid’s storage designs which are created to work for kids, are highly practical and very stylish. Our original designs are created to fulfill a consumer need for great ideas that work for kids! Hire a toy is a company that specialises in toy hire for parties, kinders, play groups, school holidays, functions or just a rainy day. We also offer equipment for infants and babies for short or long term hire. Hire a toy is a company that specialises in toy hire for parties, kinders, play groups, school holidays, functions or just a rainy day. We also offer equipment for infants and babies for short or long term hire. Searching for Spanish School in Spain & Spanish courses in Spain? Espanole, is a friendly Spanish school in Spain, which offers Spanish courses of the highest quality. Searching for Spanish School in Spain & Spanish courses in Spain? Espanole, is a friendly Spanish school in Spain, which offers Spanish courses of the highest quality. Water Safety for Kids and Swimming Pool Safety are just two of the things that the Joshua Collingsworth Memorial Foundation teaches. The Josh the Otter Book is their most famous educational tool. Water Safety for Kids and Swimming Pool Safety are just two of the things that the Joshua Collingsworth Memorial Foundation teaches. The Josh the Otter Book is their most famous educational tool. RumaHaman, an orphanage Malaysia organization, helps children by educating them, providing meals and other basic necessities of life. RumaHaman, an orphanage Malaysia organization, helps children by educating them, providing meals and other basic necessities of life. Inflatable party rentals Bounce houses, Moonwalks, and water slide rentals. Inflatable party rentals Bounce houses, Moonwalks, and water slide rentals. Design your own print for bib, T-shirt, hoodie or whatever kidscloting. Design your own print for bib, T-shirt, hoodie or whatever kidscloting. Baby clothing company. Our clothes and accessories are perfect for any season. Baby clothing company. Our clothes and accessories are perfect for any season. Welcome to Brompton cooking Supplies, where you can find any kind of cookware and kitchen supplies you need. We have bread makers, cooking thermometers, pots, pans and more. Welcome to Brompton cooking Supplies, where you can find any kind of cookware and kitchen supplies you need. We have bread makers, cooking thermometers, pots, pans and more.